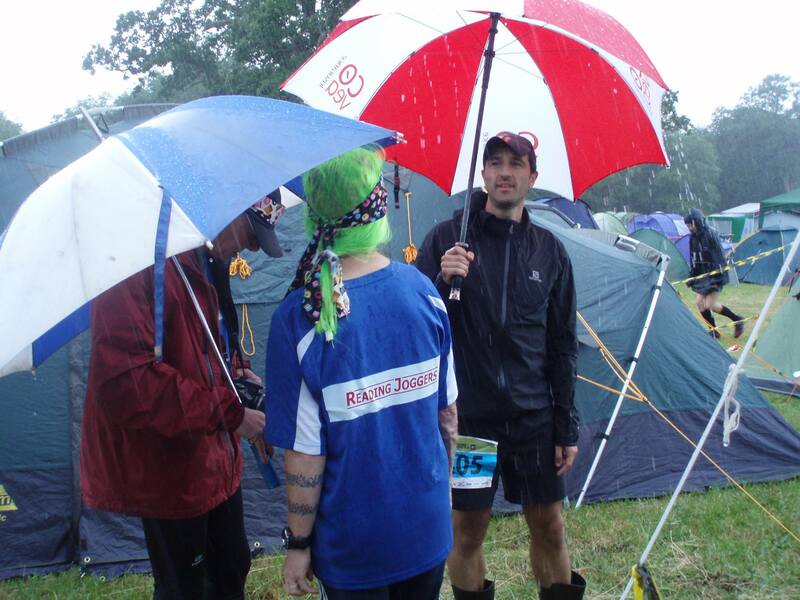 My local event the Endure 24 took place last weekend which also happened to be the same weekend as Glastonbury Festival and coupled with an appearance from my lucky hat meant one thing, rain! 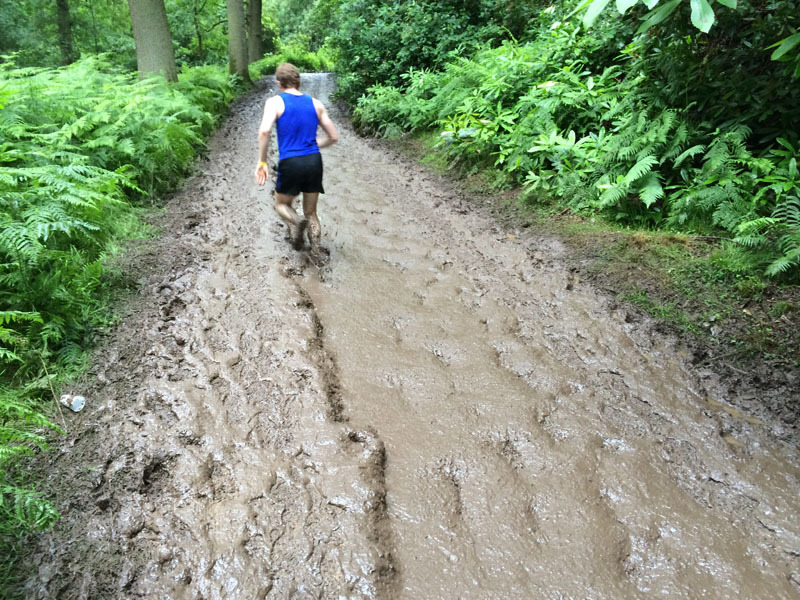 This picture by solo runner Matt Brown brilliantly sums up the event, mud, more mud and people trying their best to run through it. Having run this event in 2012 as a solo runner and 2013 in a team of 8, I had entered a mixed team of 5 people under the team name “Covea Insurance” as the team was originally comprised of a few people from my workplace and a couple of friends (Jim and Michael) who are fellow Dads from my daughters school. Unfortunately, a couple of injuries to my work colleagues meant some late substitutions and I’m grateful to Wendy Shaw and Jamie Woods stepping in at short notice to make up the team. As the event was local to us and in view of the expected number of people we headed down to Wasing Park on Friday evening to pitch our tents next to each other. As Wendy and I are both members of the Reading Joggers we decided to share some space with them which meant a few extra people generally being around to help watch the kids when we were out running our laps. 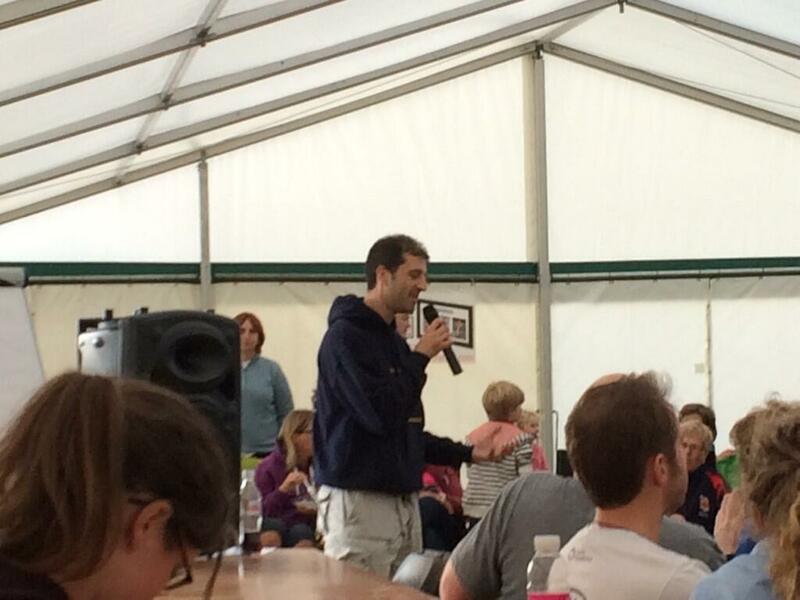 My brief talk was followed by a talk by Shane Benzie of Running Reborn (and Race Director of the T60/T184) on running technique which gave people a few things to think about their running form whilst they practiced it for the next 24 hours. As I live a 10-15 minute drive away I had decided to go home for the night and return the next day which I did but then had to drive home again as I left everyone’s race pack at my house after telling the team it would be safer if I kept then all so no-one forgot them, oops! After returning for the second time I decamped all my kit in my tent and ran through final instructions with the team including running order (we were going to follow the same sequence over and over) hand-over instructions (be there on time!) and run as fast as they could. Last year’s winning total was 36 laps which was our immediate target with a stretch goal of 40 laps which would work out at 8 laps per runner. 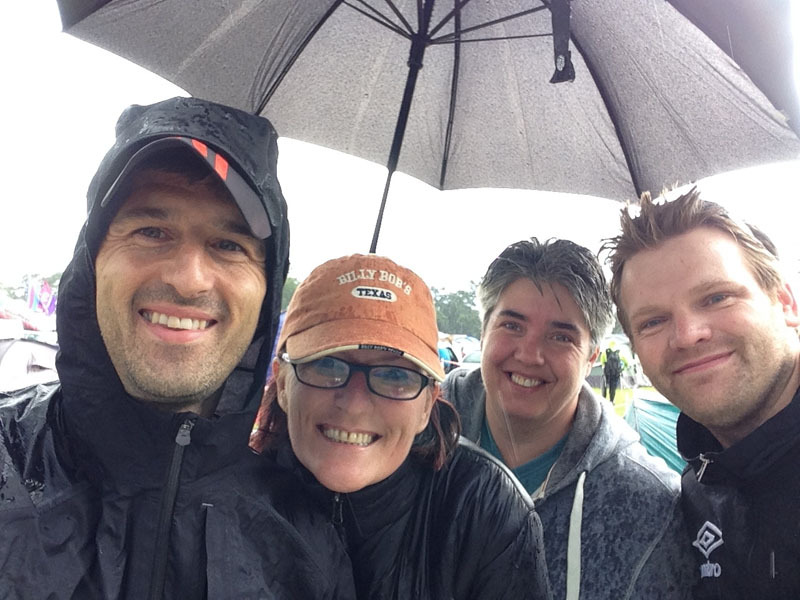 We also took the opportunity of camping out with the families with the kids very excited about a camping weekend, that was until it started to hammer it down with rain about an hour before the start of the race. This resulted in the lovely trail course I had showed as part of the course preview video about 10 days earlier looking nothing like the muddy trail route we had to “endure” for the next “24” hours (see what I did there?). The heavy rain meant a lot of surface water and then coupled with 300-400 people running the same trail again and again for the next 24 hours meant it became very muddy and boggy very quickly and so the course started to resemble more of an adventure race (someone called it “chocolate custard” in places). Michael started us off and put in a good first lap followed by Jim, Jamie, myself and Wendy. Our running order was based simply around people who knew each other as a few people had yet to meet beforehand and we didn’t want people looking lost at the hand-over point! There was an electronic scoreboard at the handover point and so quite early on there were 4 teams quite close together for a good period of the day before it developed into a 2 horse race between ourselves (Team Covea Insurance) and the Mizuno Bloggers team. It was nip and tuck between both teams for a long period of time with both teams taking the lead at various points. At the 5 hr mark it was the closest point where we had a 6 second lead.. after nearly 5 hours of running there was only 6 seconds between the teams, that’s pretty close! The course starts with a tarmac path for the first kilometre up a hill before a short stony track and then a slightly undulating muddy path for the remainder of the first couple of miles. 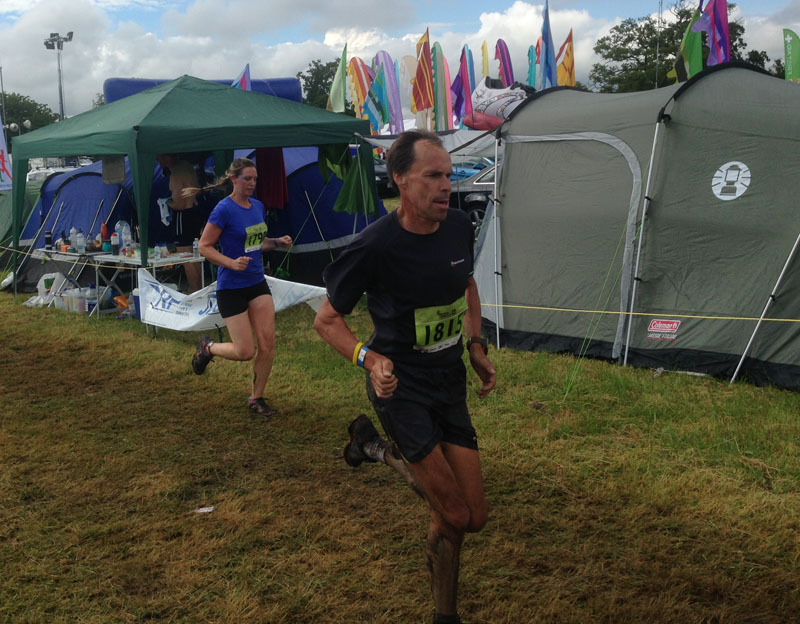 At the half-way point, the track goes through a peat wooded section which twists and turns and had a number of exposed tree roots which were highlighted in luminous markings a few times throughout the race but with the rain and mud were washed away over time so runners had to take care. After the wooded section there was a clay like muddy area (which basically meant your legs became a mixture of brown mud and orange mud) before a runnable section to the drinks station just after the 3 mile point. The next section was the toughest of the route with a really boggy section for the next half a mile before the path became a bit more runnable on a hard stony track path which went downhill and for runners with good grips and a bit of confidence a chance to get a head of steam going. The last half a mile was a series of switchbacks around the campsite which started as grass but ended up as mud and which you had to be careful on a few tight corners. In terms of my individual laps, the event started at 12 noon and my first lap took place at 1.45. 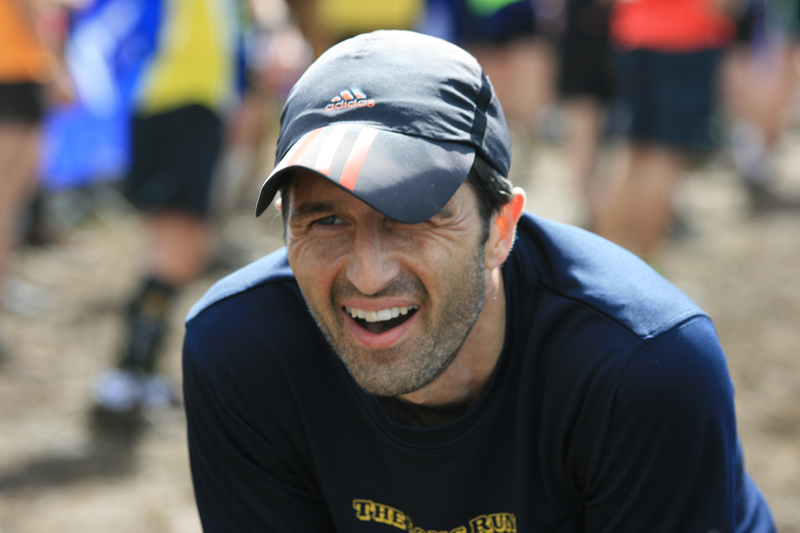 To be honest, as I admit to not doing much speed or strength work in my running (just plod lots of miles) I found it to be an effort to try and put in fast laps… that’s the challenge I suppose. Imagine running 7 x 8k races at your 10k race pace through thick energy sapping mud with a 2.5 – 3hr break in between each leg and that is how my weekend went. After each leg, it was a case of drinking and eating and changing into dry clothes before the next leg. It was good to regularly rotate the runners and following our sequence meant we could work out our timings well in advance but the short break between legs meant we didn’t have enough time to really sleep or rest so the best I managed during the night was a half hour doze meaning lots of tired runners on our team. With around 1,800 runners taking part I was thinking about how busy it would be out on the course. 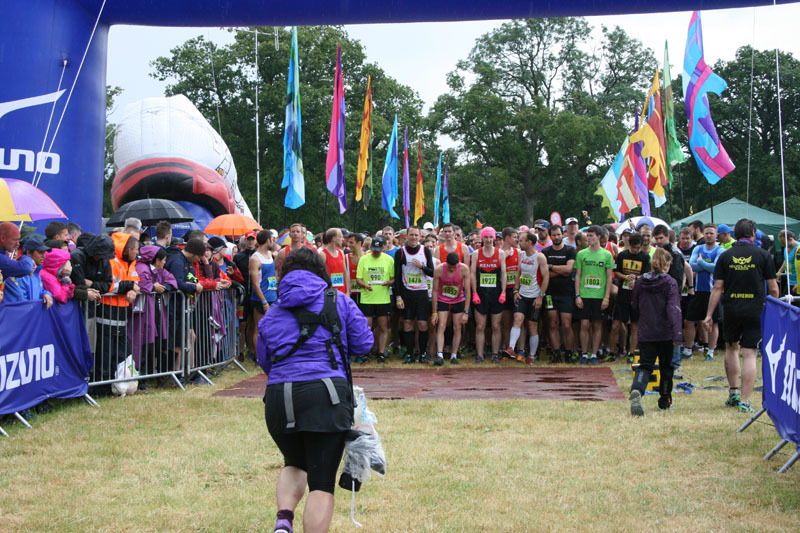 However, with lots of team entries there were around 300 – 400 runners on the course at the time so enough that you could see people around you at all times but not too congested to prevent you from running. My first lap was 35.06 which I was pretty happy with close to 7m/m on a muddy course although I did make the mistake off charging off for the first few hundred metres before gasping for breath and then slowing to a pace I could handle. 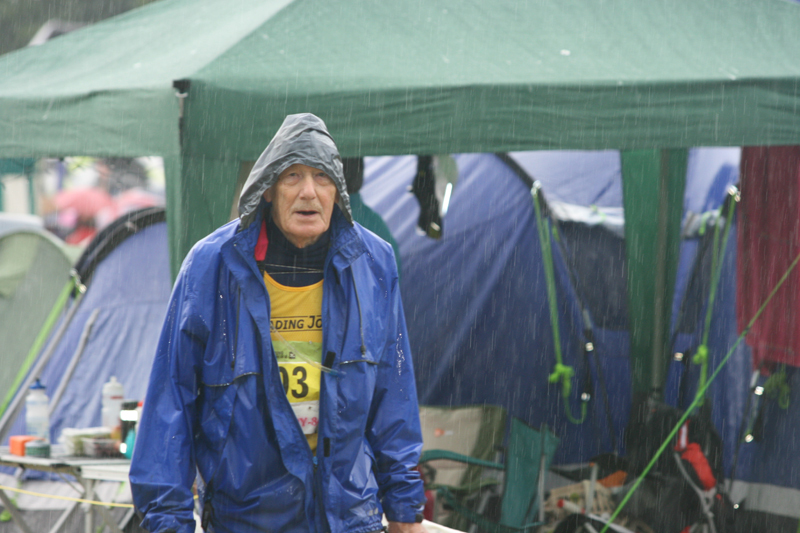 Conditions did get worse on my second lap around 4.45pm where I managed a 36.05. My 3rd leg took place around 8pm and I managed a 38.11 so starting to slow a little now. 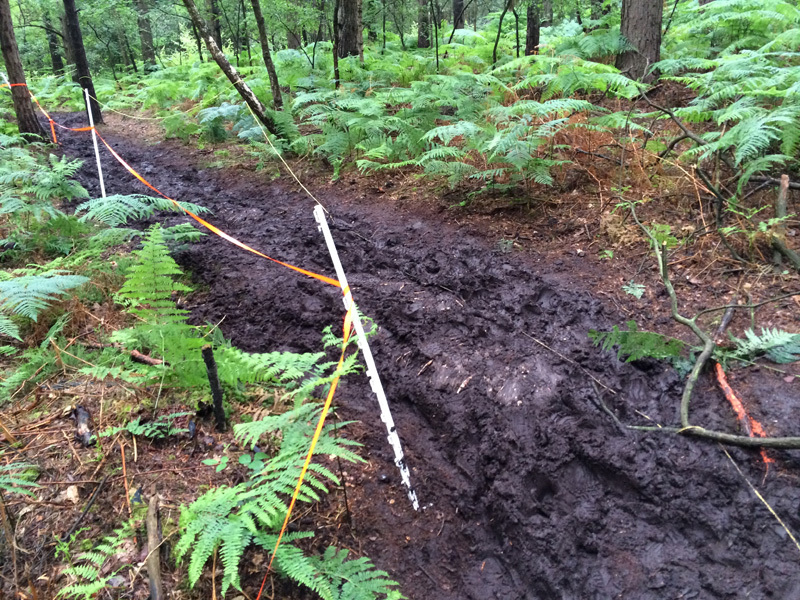 The muddy conditions made it a little challenging for everyone to easily pass/be passed. Instructions were to stay to the left if you were running at a steady pace and in danger of being overtaken but with puddles and mud it wasn’t always easy to do this and as a solo runner in the past you don’t always hear everyone approaching you from behind. On this occasion as a team runner some people were great and stepped a little out of the way when they heard or saw the headlight from a faster runner approaching whilst there were a few occasions when you had a couple people going steadily side by side down a hill which made it a little challenging to get past as you had to watch your footing in the mud or stop yourself from hurtling into them when you had a head of steam running down a slope. I didn’t have any major issues here as I tried to be courteous and give people a shout out and thanks (well perhaps it was a bit of a grunt when trying to run at pace and catch your breath!) if I was going to overtake but can see there were probably a few grumbles from both steadier and faster runners although this would have been less of an issue if the trail had been less like a quagmire. The next two legs were in complete darkness at about 11.30pm and 3am. 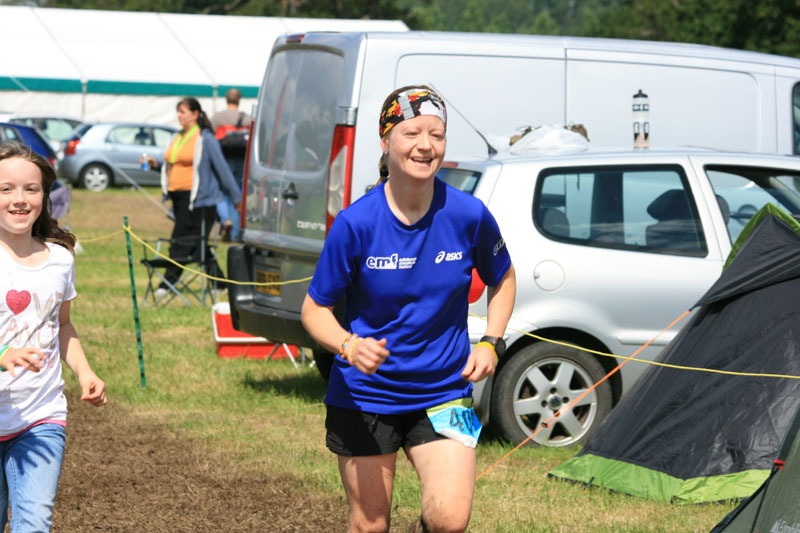 The first was a pretty uncomfortable run as I didn’t quite have enough time to use the portaloo before Jamie handed over to me and I spent the lap with stomach cramps trying to er.. hold it in before handing straight over to Wendy and running straight for the toilets. If there was a Strava segment from the handover point to the portaloo’s then there’s a fair bet I would be topping the leaderboard. That lap was a 42.49 and the next one was a 43.20 but with treacherous conditions, darkness and tiredness this was to be expected. We had one further heavy downpour in the evening but then thankfully the rain stopped. Conditions were still quite humid as I wore a mid-layer on one lap and finished absolutely dripping in sweat. It felt like the first half of the course was harder with a quicker finish at the end. Conditions also dramatically improved weather wise the next day with lovely sunshine and warm weather. This was how the weekend was supposed to be! My final two laps took place in the light at 6.45am and 10.30am and by that time I had settled down to just over an 8m/m pace and these laps were 41.54 and 41.15. I have to thank Wendy on the last lap for this picture (see below). After tearing down the final straight on my fast lap and just about to collapse over the line, Wendy went for the 4x100m handover and started sprinting off hand outstretched ready for the rubber wrist band which was acting as the “baton.” This meant I had an unexpected extra 20 yard dash just to try and catch her up and hand this over resulting in the picture of my blowing hard after that lap. Going back to the battle of the teams and this was still pretty close between us and the Mizuno Bloggers of which I had met Fiona Bugler that morning and knew Stuart Mills. Each time I checked the scoreboard the lead was being traded back and forth between both teams. Everyone on the team was giving a good level of effort and our hand-overs were slick with every person ready and waiting for the next runner. The lap splits for the rest of the team went the same way as mine with the a slight drop in pace as conditions worsened/during the night/when we got tired followed by a slight improvement the next day when visibility was better. Unfortunately, Michael (who was our quickest runner) had to call it a day after a good effort of 6 laps with an injury leaving a shorter rest gap between the remaining laps. Unfortunately, during the last few hours the lead started to slip away as the opposing team started to gain a few minutes advantage over us each lap and with a couple of hours to go we pretty much knew that the leaders had an unassailable lead (barring a fall or injury) although we also had a 1-2 lap advantage over 3rd place team. We were pretty pleased with our efforts overall and we had matched last year’s winning total despite much tougher conditions. There was a brief debate over the value of running the last lap. If a team manages to get a runner to complete a lap before the 12 noon cut off then the team or runner is permitted to complete another lap. As we had a 2 lap lead on 3rd place this was pretty much a “dead” lap with nothing to gain but I was off the opinion we should see this out to the end and Jamie Woods set out on the last “parade lap”. 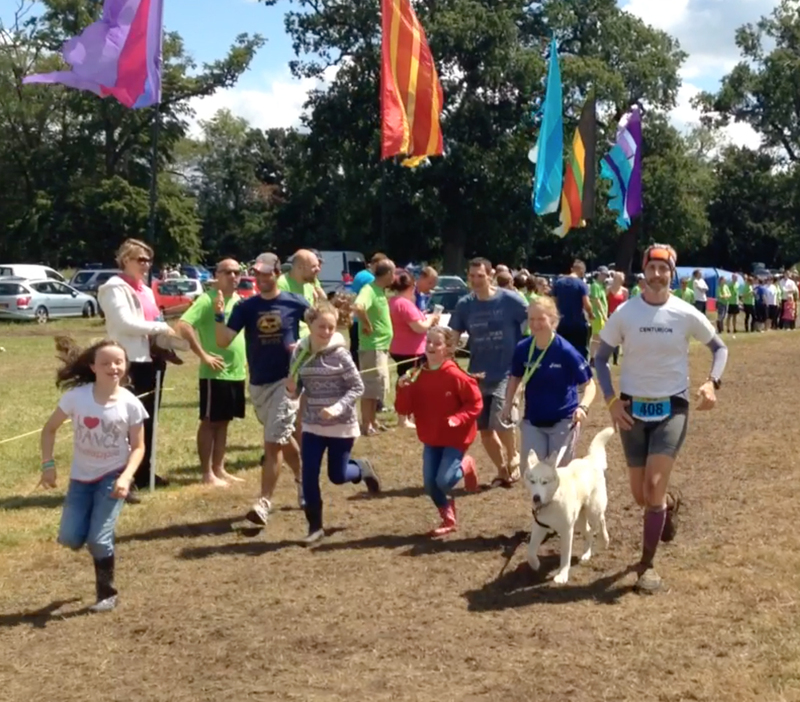 As Jamie set off on the final lap for the team, other teams and runners were starting to finish. 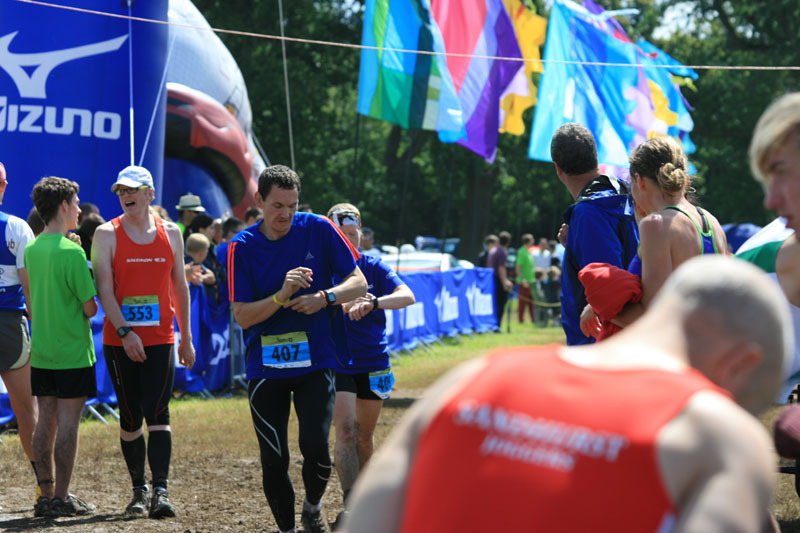 As is the tradition for Endure 24, the majority of teams run the last few hundred yards with their final runner and it was good to see everyone running to the finish together and enjoying that moment of satisfaction at finishing the event as a team. 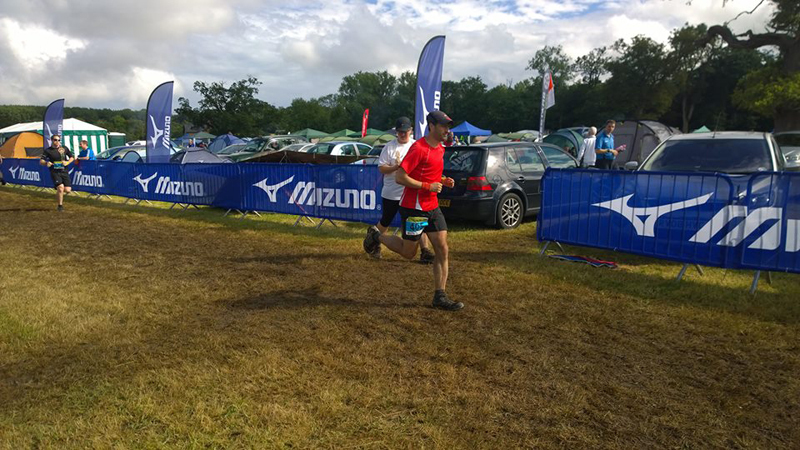 We waited for Jamie to complete the majority of the 5 mile loop and enter the final ½ mile stretch around the campsite and we then joined him for the last few hundred yards to finish in 2nd place having covered 36 laps (180 miles) in 24hrs and 38 minutes. 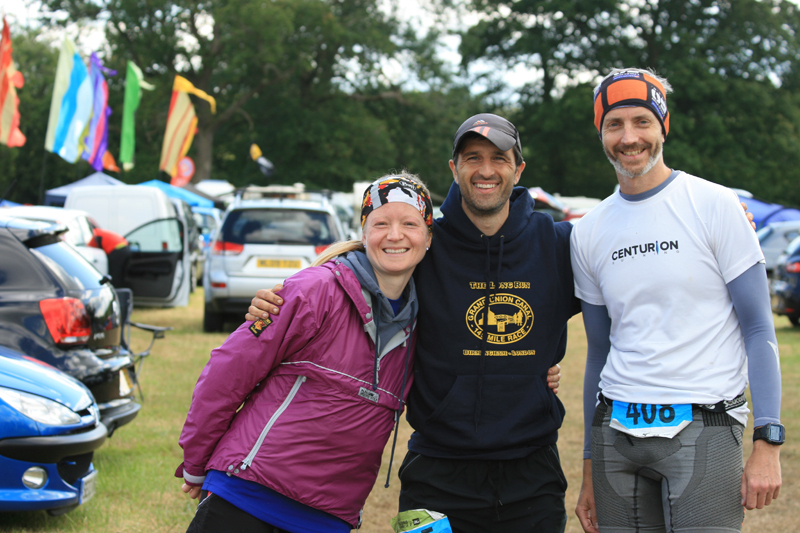 Thanks to the Endure 24 team for organising a great event. Despite the rain and mud-bath the majority of people seemed to get into the spirit of the event and there was some genuine enjoyment from those who took part. I am sure that many people will be back in future years. I think our team were quite keen on entering just as a social event. It was mooted that we should bring our partners along and run 1 lap each Saturday and Sunday and then have a Beer/BBQ the rest of the time! Sounds great as I didn’t get enough time to catch up and socialise with people. Finally there are a few acknowledgements I should add for runners and teams, so here’s my “well done” list. Thanks to my team mates Jim Seaton, Michael Sartorius, Wendy Shaw and Jamie Woods for being a great team, getting on well with each other and giving a good level of effort. Also, thanks to our support crew of partners and children who had a lot of fun over the weekend and enjoyed cheering on their parents. Well done to the “One Direction” team of Nina, Sue, Emma-Jayne, Harriet and Caroline who defended their all female 3-5 team title with 33 laps. Congratulations to the Pro Feet team including Richard Felton, Louis Waterman-Evans and Gary Kiernan (and Danny Kendall and Max Willcox) for winning the male 3-5 person team title with 40 laps. A further well done to Lisa Hewitt, Kim Freeman and Nici Griffin for running further than they have ever done before in the solo event. I particularly enjoyed Nici’s abuse on Saturday evening as it was about to chuck it down with rain.. again and her genuine emotion at the finish was lovely to see. I may have made some promise about my hat but I think it’s a pretty safe bet I won’t lose it. 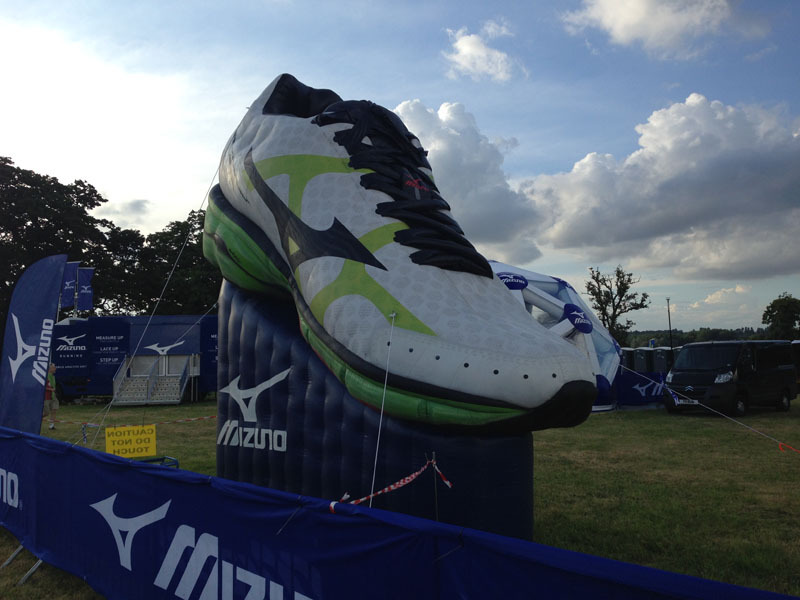 Congratulations to Fiona, Stuart and others in Team Mizuno for beating us in the mixed 3-5 team category (curses!). Well done to Rebecca Cox (sorry I didn’t see you on the day) and Chris for winning the mixed pairs category and well done to the runners up Jane Benson and Dave Cox who came second. Well done to all the Reading Joggers team who really got into the event with fancy dress costume runs, sing songs, spot prizes and generally had a lot of fun. There were also some good running with one of the teams coming 3rd in the 6-8 mixed team category and several solo runners including a first Ultra from Doug Jacobs (I think) and a great solo effort from 84 year old Peter White who completed 45 miles in total over the 24 hours (with a sleep in the middle). Finally, a big hello to everyone else I spoke to and saw on the day. I hope everyone enjoyed the event and look forward to seeing people again next year? manufacturing. And thus if can go number 2 these tests you am going to probably have no rrssue with their actual principles test.